Pronounced Naj-wars, these are actually just Goose Shoulder Feathers. The term "Nageoires" is a french word that means "Fins". 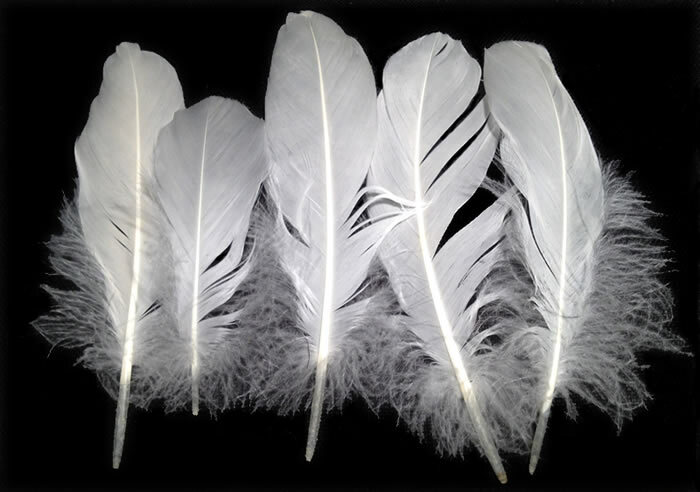 There are approximately 1,000+ feathers per half pound.